The most sophisticated American and Israeli Jewish opponents of the Oslo peace process pay lip service to the agreement while ignoring its political content and insisting that it be understood as a legal document and a basis for pushing Israeli prerogatives and punishing Palestinian "violations." 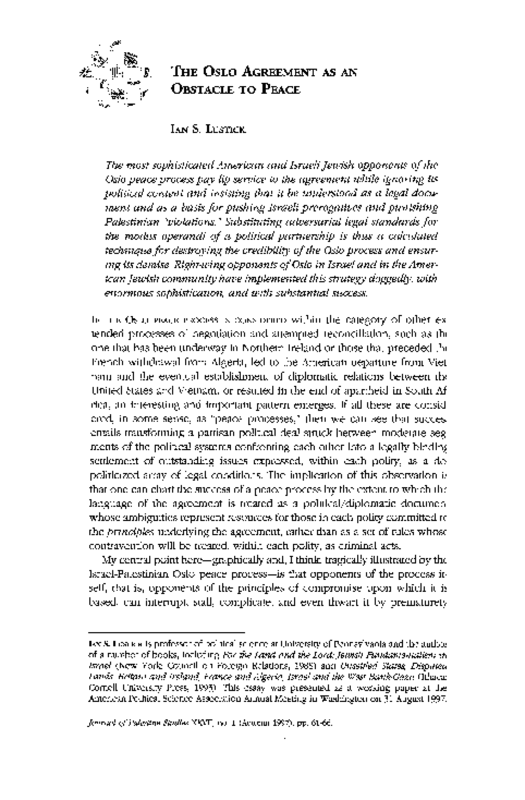 Substituting adversarial legal standards for the modus operandi of a political parternship is thus a calculated technique for destroying the credibility of the Oslo process and ensuring its demise. Right-wing opponents of Oslo in Israel and in the American Jewish community have implemented this strategy doggedly, with enormous sophistication, and with substantial success.